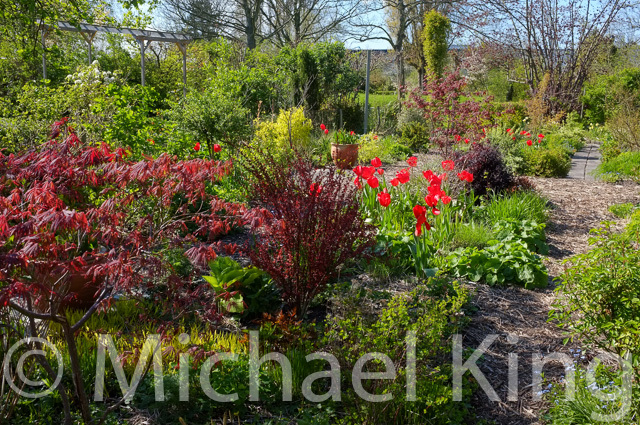 Naturalistic planting and especially the prairie planting variant can look very flat and green in spring. 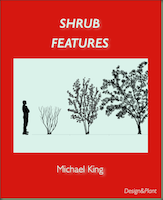 Often these schemes are filled with perennials that flower in summer and look wonderful with ornamental grasses, but in spring they are green. 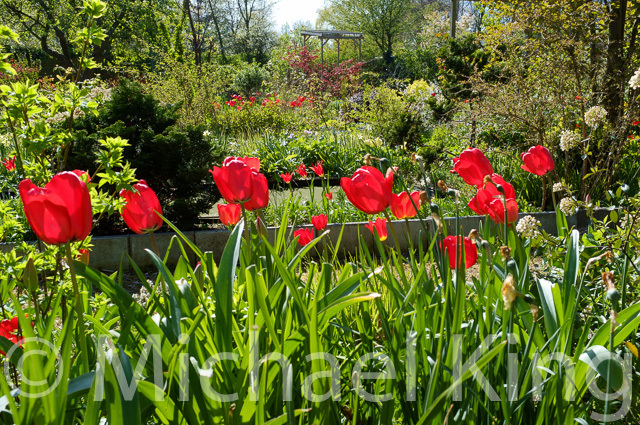 Red is the complementary colour to green and tulips are one of the ways to introduce it into the spring garden. The strong contrast of these two colours means that a few red tulips go a long way to adding that wow factor to a mixed perennial meadow scheme in spring that might otherwise look overtly green. In my earlier post I showed how my trial garden needed an extra boost at this time of the year following repeated attacks by mice and voles- here . 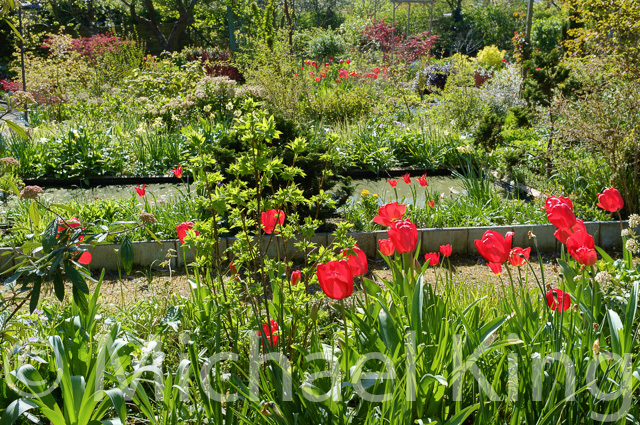 Last autumn I planted groups of twenty, widely-spaced tulips in some of the garden’s borders. 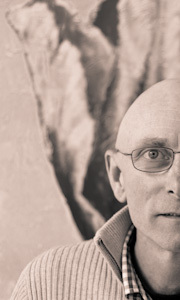 Had mice not eaten some, the effect would be better, but even so, they have made an impact. Crown imperials (Fritillaria imperialis) are said to deter rodents and in the few places I have combined them this year, it seems to have worked. This is far from a conclusive trial as there are also borders where without the Crown Imperials the tulips have been left alone and are now flowering. But next year I will press on with the trial and hopefully extend the area planted. I love other colours of tulips, but for this time I have used only red. Darwinhybrid Group tulips are the most persistent and bold. ‘Red Impression’ is an exceptionally early flowerer in this group and these were planted in the same hole as ‘Parade’ which is almost identical, but flowers two weeks later. 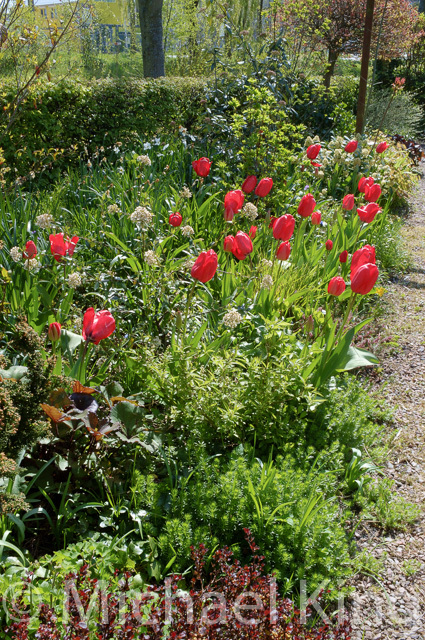 Other borders contain finer tulips such as rich crimson ‘Jan van Zanten’ and the maroon and gold stars of ‘Aladdin’, but these are not likely to return and will need to be replanted each year. 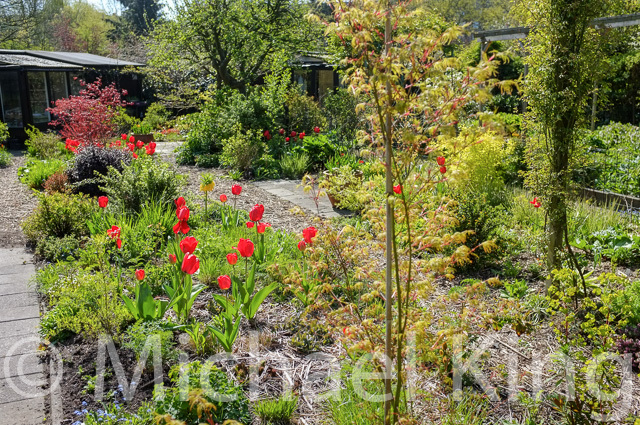 If I can solve my mice/vole problem I will return to the full range of tulips in many colours from the very early, jewel-like flowerers through to the dramatic, tall Single Late Group, but for now just a few bold red flowers have made a great improvement to my spring garden. 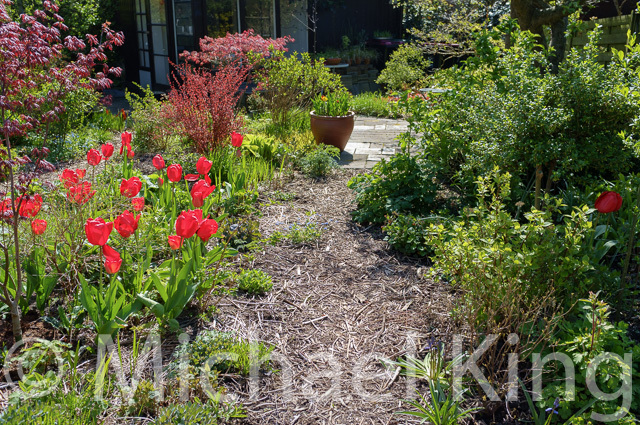 This entry was posted in Bulbs for the Garden and tagged matrix planting, Perennial Meadows, planting design, tulips. Bookmark the permalink.